Looking for the best things to do in Ayia Napa? Ayia Napa is one of the most popular areas to visit in Cyprus, especially for young Europeans looking to party in the Mediterranean. However, this area isn’t only good for drinking and dancing the night away. There are so many more things to do in Ayia Napa that don’t revolve around partying into the early hours. The whole area on the eastern side of Cyprus has stunning beaches, crystal clear water, unique historical sites, and some of the best weather in all of Europe. After landing at Larnaca airport late at night we made for the southeastern coast of the island for the second time in our lives. We were wondering what to do in Ayia Napa, but the next morning we woke up to the sunshine and incredibly blue water. What else could we want? Cape Greco National Park is a protected park. 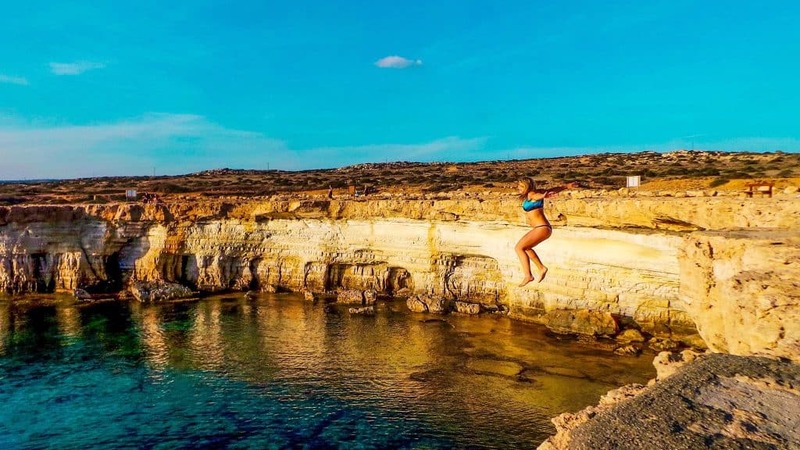 For anyone drawn to the water and who loves to swim, this should be at the top of your list for things to do in Ayia Napa. 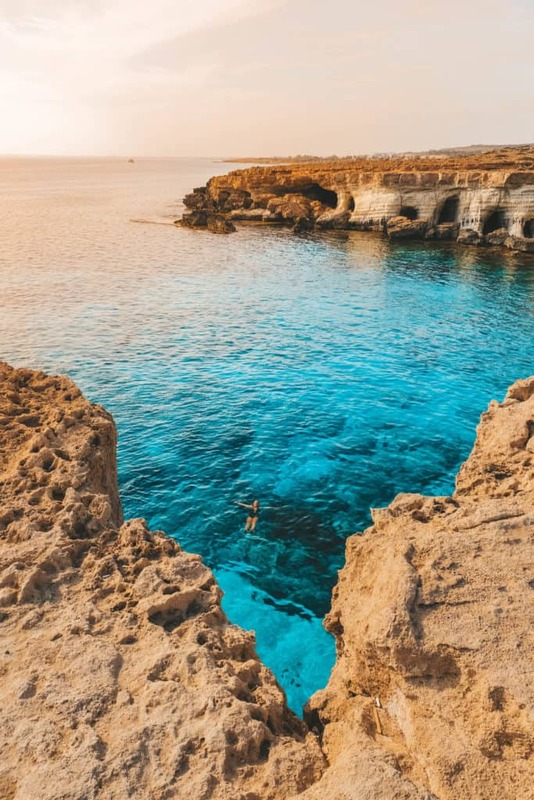 The waters at Cape Greco are heavenly, and the cape is famous for the clear blue waters and array of natural rock formations, many of which feature hidden caves. Being a popular spot for cycling, hiking, cliff jumping, swimming, and even snorkeling in the rock’s sea caves, this spot is popular with outdoor enthusiasts and adventurers. This area is also said to be home to the Ayia Sea Monster (known locally as the Friendly Sea Monster). It’s supposedly not a harmful monster, and it’s said that the only things you’ll end up with if you cross paths with the creature are a feeling of awe and a very cool story. This region of the Mediterranean has no shortage of beaches, so it should come as no surprise that Cyprus is full of them. Makronissos Beach is located a few miles west of the city center. 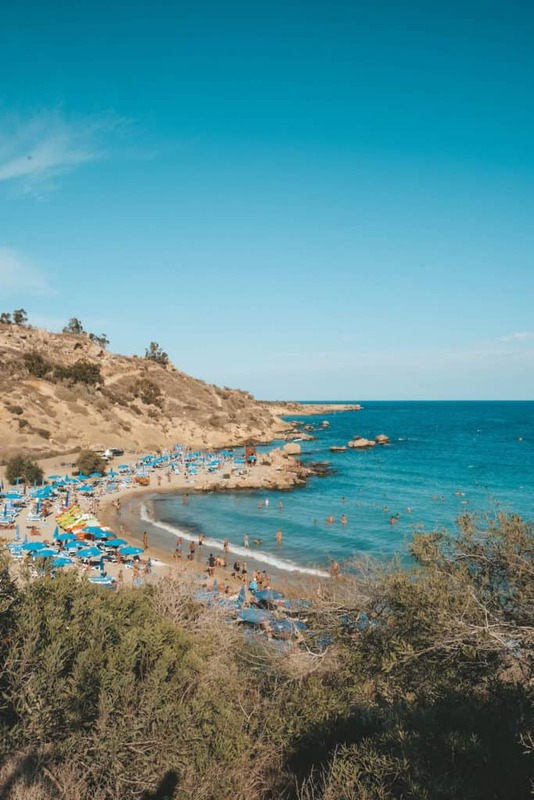 It is a quieter alternative to the party vibes of Nissi Beach, though its ideal swimming conditions (soft, white sand and calm, clear waters) make it a popular spot with both tourists and locals. This is a great place to do beach activities like waterskiing, paddle boating, and diving. However, the one thing that puts Makronissos on a level of its own are the archeological tombs carved into the rocky ground nearby; they are not really manned, so it is a nice opportunity to do a little unobstructed exploring. There are even steps carved into the stone for an easy descent into the crypts. If you find yourself getting a little spooked, the beach is just a stone’s throw away and a good place to cool off before heading on to the next part of your day. When the scenery is as beautiful as it is in Cyprus, it’s sometimes hard to pull yourself away from being outdoors. But in this instance, it’s worth it; the Thalassa Museum is a great choice from things to do in Ayia Napa to get a little cover from the sun. This gem is a perfect place to soak up a little local history and culture, and check out various fascinating artifacts relating to the region. Among the sea-related exhibits, which include a wide array of taxidermy fish and other ocean creatures, its most attractive feature is the fully reconstructed shipwreck that was found off a nearby coast. There are varying levels of glass walkways and stairs to give visitors the chance to view the fascinating wreck from every angle. The museum is open year-round (but closed on Sundays during the winter season) with entrance fees for adults & students. Warm, ancient, sunbaked stone, underground tunnels, arches and pillars, a hidden cave; the Ayia Napa Monastery is shrouded in an air of exotic magic and mystery, particularly given that its exact age and origins are unknown. Its construction has been roughly dated to the 15th century when Cyprus was conquered and taken by Venetians. Many local folk tales surround the elements of the monastery, from a hunter whose dog found the golden icon and the monastery subsequently built around it, to the daughter of a wealthy family who came to take refuge after being forbidden to marry her true love. With history and energy echoing around the ancient walls, it’s a wonderful place to spend an afternoon and feel the whispers of antiquity within the grounds. The monastery is free to enter, though donations are welcome. It is open year-round. Sandy beaches aren’t the only claim to fame for this part of Cyprus. Its incredible coastline is dotted with massive, formidable rock formations, inside of which are often found natural sea caves and hidden passageways. 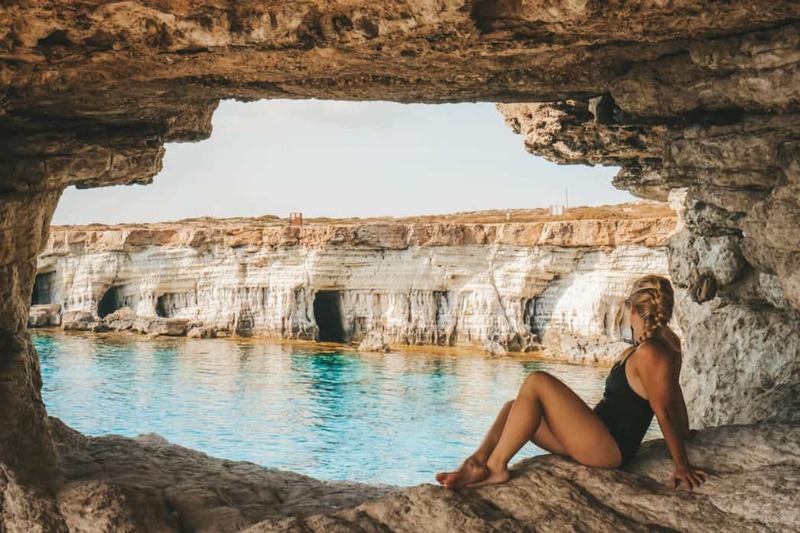 The Ayia Napa sea caves are a hugely popular spot for diving, snorkeling, and swimming, making this area a perfect thing to add to the list of things to do in Ayia Napa. According to legend, ancient pirates would hide stolen booty in these caves and use them as hideouts. You can access the caves by both land and sea, with many companies offering transport and boat tours of the area. Fishing and cliff jumping are just as popular as swimming and diving. There’s only one main spot where you can cliff jump from safely, although I’m sure the locals may know of a few hidden gems. The jump down is about 10 meters, and you will definitely have to face your fears if you’re scared of heights. 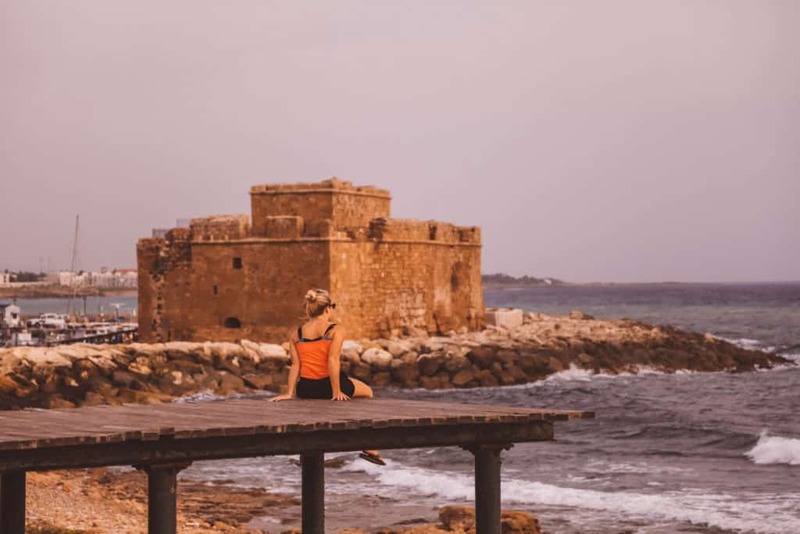 Since many of the things to do in Ayia Napa are related to its landscape and history, here’s an option for something to do that’s both to the area unique and refreshing. The Sculpture Park is pretty much exactly what it sounds like: a public park scattered haphazardly with an array of statues, sculptures, and art installations. This spot is atop a cliff, making the view out over the sea a wonderful backdrop for photos – especially if you stand within the huge square sculpture – perfect for Instagram. The park has only been open since 2014, making it an anomaly among the ancient structures usually found in Cyprus. Sculptors from all over the world contributed to the ‘museum’, and the spot covers an area of over 20,000 square feet, with no shortage of artwork to look at. With the region around Ayia Napa is as popular as it is, a beach that’s a little on the quieter side can be a hard thing to come by. 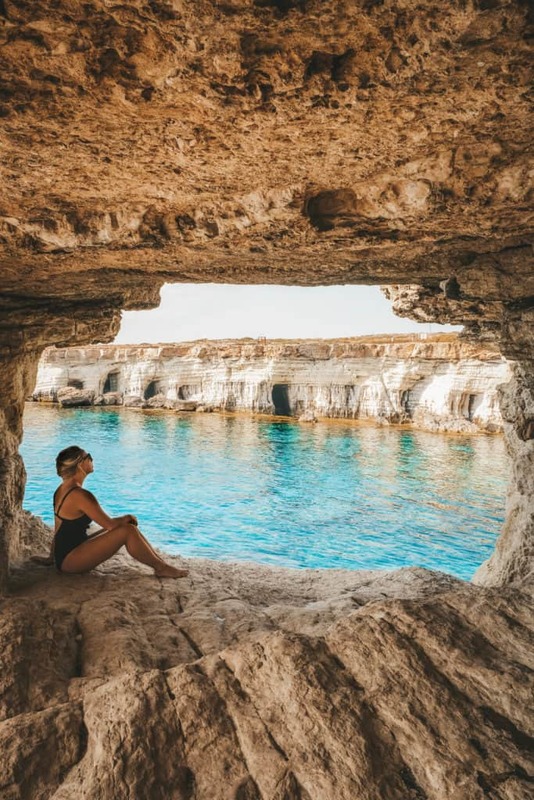 If all you want is a seaside day without the party vibes, then you’ve found it at Konnos Bay. The area is secluded, so the still water makes for some perfect swimming conditions. 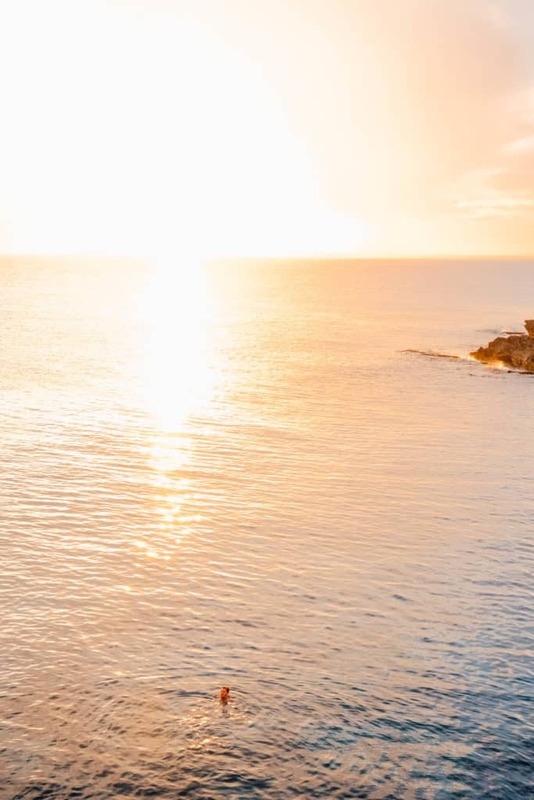 Be sure to bring your swimsuit, but do make a pit stop atop the rocky cliffs for some seriously stunning views of the crescent-shaped bay and the turquoise waters lapping at the white sand. The beach isn’t deserted; there are still watersports available here thanks to the calm waters. In the summer it will also be lined with sun chairs that you can rent for a few hours. Rock formations shelter the area from windier days, so the beach’s warmth adds a luxurious laziness to your overall day here. When the heat gets to be a little much, there are a few cafés and a Greek restaurant just a stone’s throw from the sand, where cool frappes and local cuisine await. 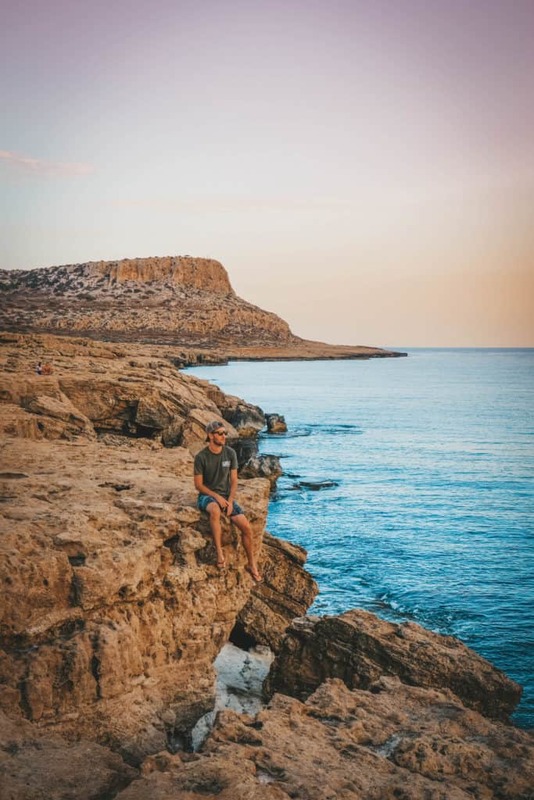 This next entry on the list of things to do in Ayia Napa is on the way to Cape Greco, so it’s something easy to tack onto that particular expedition. Kamara tou Koraka is a natural bridge in the rock formation, set high up for mind-blowing views of the turquoise sea and the skyline (pro tip: this is also an amazing sunset spot). Though the bridge is no longer free to walk on and is fenced off (decades of tourism has eroded away the rock), it still makes for some amazing photos and views. It is in close proximity to many other nearby sights, so it’s a good spot to cross off your list if you happen to be in the area. Plus, many of the immediate sights are within walking distance. Nissi Beach is your go-to option for excitement and fun in Ayia Napa. It’s not just a stunning little slice of heaven (thanks to gorgeous waters and soft white sand), it’s also a party-happy resort area. 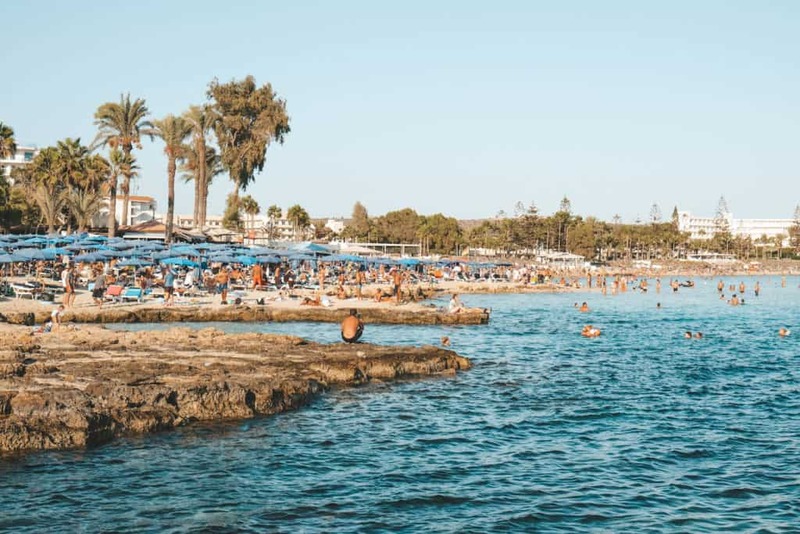 Located in the resort region of Ayia Napa, Nissi Beach is a popular destination with not just travelers, but locals, for its music and club scene – which usually involves live DJs and soapy foam parties into the evening. If you are looking for something to do in Ayia Napa at night, head this way! That being said – if you want a quiet and secluded beach day Nissi Beach is not for you. The beach itself is 500 meters of white sand and sparkling, clear blue water. Your days can be spent lounging and tanning in the sun, while you can easily transition to party mode for the evening festivities. The area is named for the tiny islet just across the water, which is easily accessible on foot when tides are low. The islet is uninhabited; it’s a fun spot to hang out with other beachgoers before walking back across to start the night time fun. Another one for the fun-lovers, Ayia Napa square is a clubber’s dream. The square has all the best bars, nightclubs, and restaurants squeezed into a pretty small corner of the city, which is great if you like to bar hop and aren’t in too rough shape yet. In the summer season Ayia Napa can turn into a bit of a shitshow with young Europeans on obnoxious stag parties. However, if you are looking for drinks, short skirts, and loud music this is your jam. The area, while rowdy, is at least friendly, so this is a fun spot where foreign groups and travelers can feel safe, but included, in the party activities. If you’re new to European partying, it’s not like North America; because the pre-festivities don’t usually begin until 11 pm or midnight, clubs are still going strong well into the early morning light. This iconic church sits along a rocky outcrop above the entire town of Protaras. The hike up is short and steep, but is easily doable if you’re in decent shape. Once at the top you will be rewarded with breathtaking views over the entire area. In the spring this area blooms with life. The inside of the church is uniquely decorated with beautiful paintings. It’s worth it to stick around here until sunset as you will have 360 degree views of Protaras. The Blue Lagoon is exactly what it sounds like. Welcome to cloud nine; the clearest water you’ve ever seen, rock formations that keep the waves gentle, and hot sun that makes you feel like you’ve just entered paradise. Because of the perfect conditions, this is a hotspot for snorkeling, diving, and swimming. Visitors can hire motorboats or open air go kart buggies to take them to the best spots, but if you’d rather go it alone, there’s always the option to rent bikes and take the scenic route, as you can still access the lagoon from land. We rented a car in Cyprus and it too got us everywhere we needed to go. Though the water is clear enough to see the bottom, goggles will help you to spot all the little signs of sea life to make the most of your experience. Kalamies Beach is another gem loved for its warm, clear water and unspoiled sandy shore. 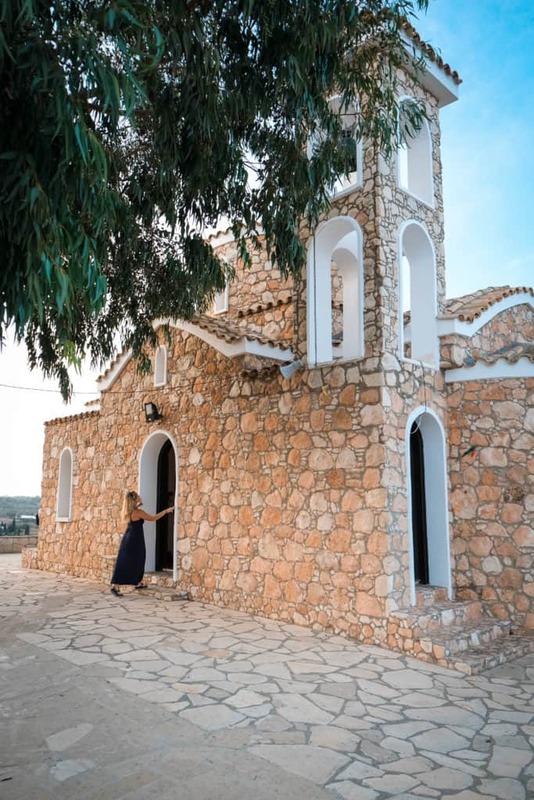 However, it has a little something extra: the St. Nicholas Church sits along a spit of land that extends out; its whitewashed walls and turquoise-domed roof give the area a distinctly Greek feel. The area is backdropped by a line of palm trees from a nearby hotel, so there’s a bit of a tropical vibe to the area as well. Starting to get a little hungry? 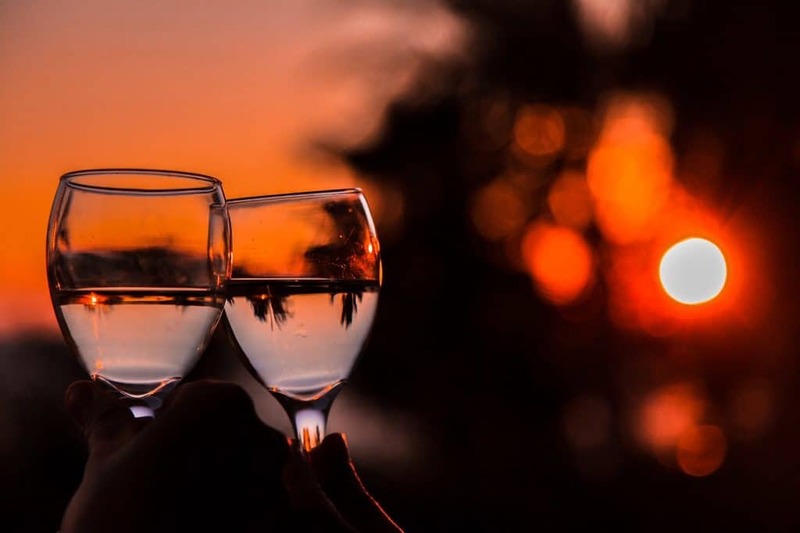 Stop by the Kalamies Beach Restaurant for something to eat; the restaurant has long been loved by locals and tourists alike for its seafood. Its lobster, oysters, and mussels are amazing, or try the feta-stuffed calamari for something truly Mediterranean. While this beach is pretty packed on weekends through July and August, weekdays tend to be quiet, so try coming by when it’s a little more mellow for a more relaxing stay. Only an hour and a half drive from Ayia Napa, the Machaira Monastery is a day trip worth taking if you’re planning to be in Ayia Napa for more than a few days. The monastery’s origins are shrouded in legend. According to the tale, a hermit smuggled one of Luke the Apostle’s 70 icons into his cave. It remained undiscovered until after the man’s death (retrieved by two other drifters who had to machete their way into the overgrown cave). Once retrieved, the monastery was built on the now-holy site and named for the Greek word for knife, makhaira. The monastery offers an impressive collection of manuscripts and sacred objects and is open year-round. Today, it is inhabited by a brotherhood of monks, who practice an extremely devout lifestyle. Though open to the public, no photography or videography is permitted on site to protect the holiness and austerity of the site. The beauty of an island as small as Cyprus is that nearly anything can be turned into a day trip. Case in point, the ancient city of Salamis. Located only an hour’s drive from Ayia Napa. The age of the now-ruined city is suggested to be as old as the 11th century BC, which has been deduced based on ancient artifacts found at the site. Excavations of the area began in the 19th century and many finds are on display at the British Museum in London, but nothing beats exploring the original spot. Among the ruins, visitors can see the sprawling amphitheater, the pillar and foundational remains of a temple dedicated to the god Zeus, and even the remains of carved statues, presumably of goddesses. While not enormous, this city was the first capital in Cyprus and it is quite a feeling to wander through the silent stones and imagine the life that once existed here. Note that it is located in Northern Cyprus and you’ll have to cross the border to get there. Bring your passport! Located about a two-hour drive from Ayia Napa, this day trip is a little more of whole day commitment, so be prepared to get up early and attack the day. 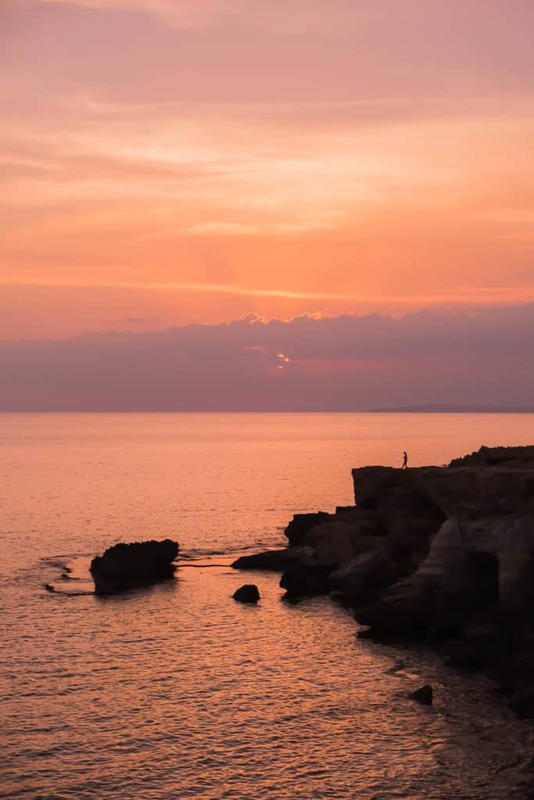 If you’re a fan of hiking or adventuring or just a lover of the outdoors, make a point of adding Mount Olympus to your list of things to do in Ayia Napa. It’s the highest point in Cyprus, so you can count on beautiful views; it’s even high enough that you can find a ski resort here! Plus, winter views are spectacular, with the dusting of snow covering the hills and peaks below. There’s a chair lift to take visitors partway to the top, but heads up, there is a moderate-intensity walk of around seven kilometers across somewhat challenging terrain. The top peak houses a British long-range radar, but there are still accessible lookout areas perfect for the view you climbed the mountain for. According to historical records, the ancient Greek geographer Strabo indicated that one of the mountain’s peaks had a temple dedicated to Aphrodite, so if the goddess of love was revered here, you can bet it’s a beautiful spot. 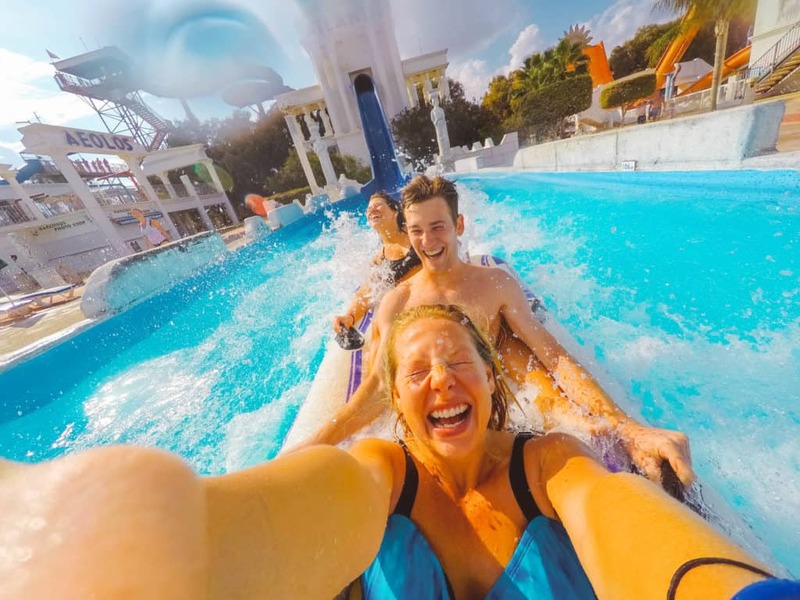 There are a few waterparks scattered throughout the country and they make for a great trip if you’re looking for something to do in Cyprus with kids. The Waterworld waterpark near Ayia Napa provided us (three grown adults) with a lot of fun for the day, but I still think it’s one of the best thing to do in Ayia Napa for families. It’s well managed, clean, and have plenty of rides. With the Mediterranean climate, waterparks in Cyprus generally stay open until the end of October. Come during the week or in the offseason for fewer crowds. Plastic pollution is a problem in Cyprus so it’s best not to contribute to the problem buying plastic water bottles everywhere – plus the water from the taps here is perfectly safe to drink. We’ve shifted to using an insulated aluminum water bottle as it handles the hot sun well. However, we also love filtered water bottles in areas we’re uncertain of the water supply. Read more about favorite water bottle for travel in our post. You will absolutely need sunscreen for your trip to Cyprus. You can purchase it when you get there, but then you’ll be searching around for it and may pay a premium for a generic brand. Please consider spending a few extra dollars for reef safe sunscreen. The typical sunscreens like Coppertone, No Ad, and Banana Boat have many chemicals in them that will run off your body while swimming damaging the precious coral and marine life. 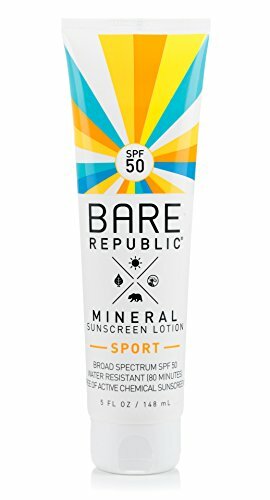 We have this reef safe sunscreen for our ocean adventures. Most hotels will provide you with a towel, but they often aren’t suitable or allowed on the beaches. 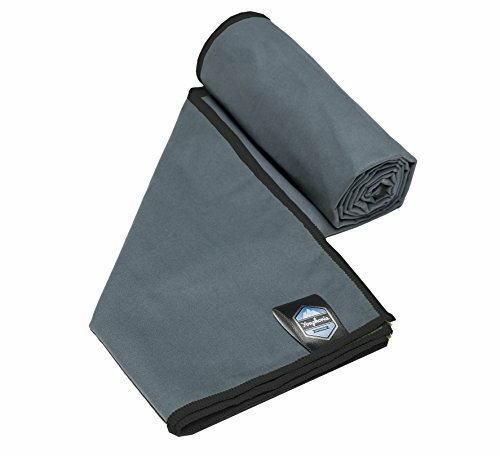 I like to travel with a microfiber towel because they are light and fold up small, and they also don’t cling on to sand our dirt. Here are a few of our favorite travel towels. These were great to have! You’ll do a lot of walking around Cyprus in the extremely hot sun. 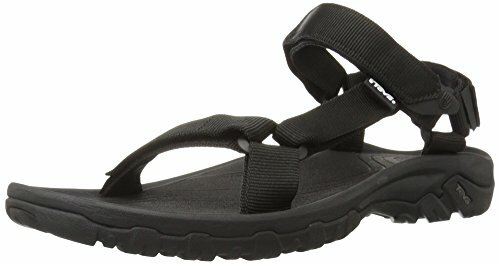 Hiking sandals allow for your feet to breathe and they do not collect sand when trudging through the desert. You bet we’ve reviewed the best hiking sandals for travelers! Getting to Cyprus from mainland Europe has never been cheaper with budget airlines such as RyanAir servicing the island. Paphos city buses run €1.50 one-way. While long distance buses to another city typically cost around €7. An automatic rental car can go for €15 a day in the low season up to €35 a day in the higher seasons (automatic) and will ensure you get to all the best places in Cyprus. Knowing how to drive a manual car will get you better prices in Europe. If you’re traveling as a group it is worth your while to hire a car for your trip. Our best experiences have been with SiXT. Check car rental prices here. Where to stay in Ayia Napa? 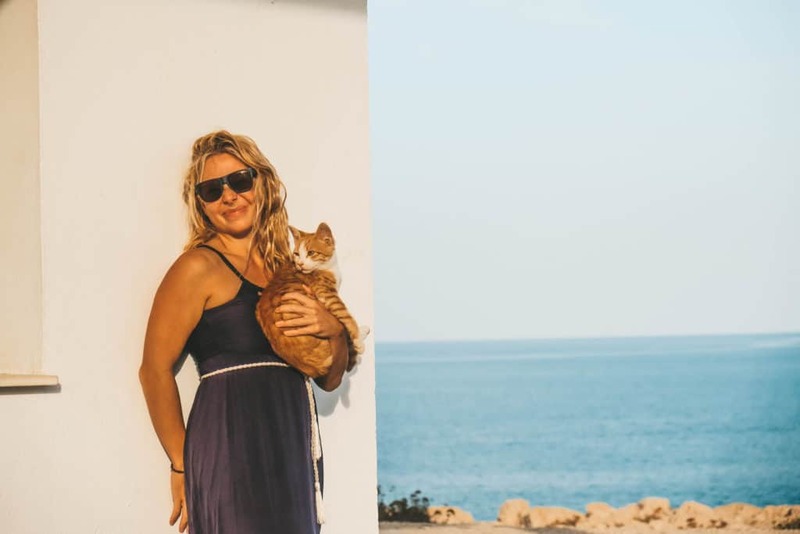 Every time we visit Cyprus we stay in an Airbnb and have had fantastic experiences. 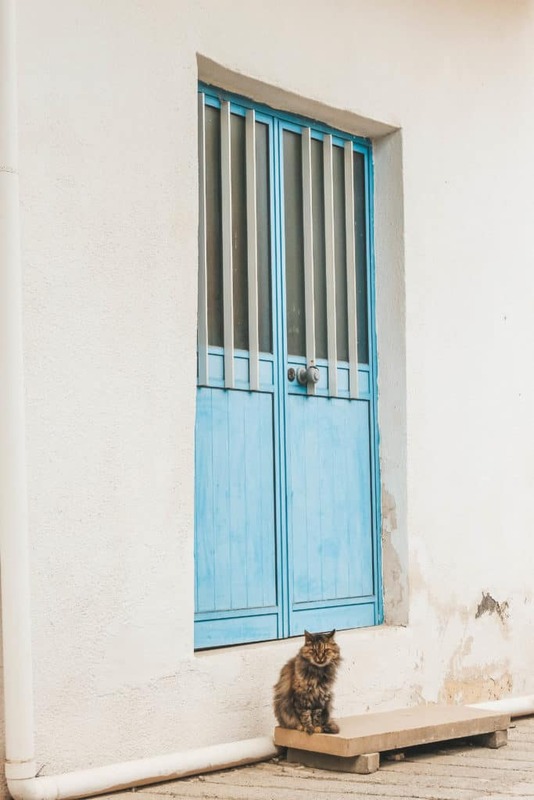 To feel more at home we use Airbnb you can check out some tips and read more about getting an Airbnb coupon code here. Or just take this coupon for your first stay! Only steps away from the beach with rave reviews and a pool that is to die for! This is one of the best rated hotels in all of Cyprus. Napa Mermaid features boutique rooms overlooking the Mediterranean Sea with 2 pools, a health club with hot tub and a 24-hour reception. How Much Does a Europe Backpacking Trip Cost?